how did you decide to send out notifications on Tuesday, rather than, say, a Saturday or Sunday, when logic says more people would be at home? That is such a great question and the answer is pretty simple. The majority of my readers reside in North America – the U.S.A. to be precise – where weekends tend to be sacred. Both Saturday and Sunday are holy days, and for those who don't observe religious days, weekends are still primarily devoted to family. I've received some very negative feedback on the few occasions that I've sent email on a Saturday. And don't forget, my Saturday (Pacific time zone) easily turns out to be a Sunday for my many friends in Europe, Australia, New Zealand and Asia. 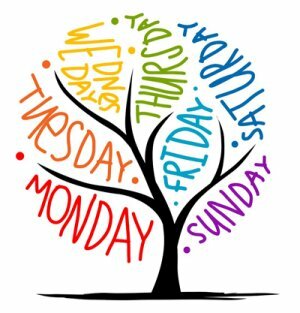 The argument against sending emails on the weekend is corroborated by a GetResponse 2013 survey which determined that weekend open and CTR (clickthrough) rates were considerably lower on weekend days than during the middle of the week. They further highlighted that Tuesdays enjoyed the best open rate and Fridays had the best clickthrough rates for emails sent on those days. Having said all of that, so much depends on YOUR readers and the niche in which you work. You can get to know your contacts' habits by doing a little research after you send an email. Simply check the open and click reports for your past emails to see if there are any patterns. The best advice I can offer is to test to see what works best for your readers. You could do an A/B test – send out the same email to 2 different groups at different times – or, test over a period of a couple of months to get to know your readers' preferences somewhat more organically. By the way… You ARE building a list using a bonafide autoresponder service like Aweber or GetResponse aren't you? Basically, if you're NOT building a list, you're NOT building an online business. Also true for time of day to send, Ros… Testing showed I got the best results sending at 6am Eastern, while my friend Joel found his list responded best sending at midnight. For best results each person has to experiment with their own list, since demographics change based on who is on your list. Thanks Ros, Good advice on email dates. 2015 is the year for my start on a list. does 300% more business than any other month of the year. So I am flustered. I did get 600 words written today. Nothing from Jan 3 to Jan. 19. Lots of year left. It will happen. Good to hear you plan to start building a list this year and it can definitely wait another 2 weeks until your brick-and-mortar rush is over. Please DO check out Aweber. I’ve been a customer of theirs forever and never had an issue. Tuesday posts suit me fine Rosalind. I welcome them on Wednesday mornings and they give me ‘food for thought’ for the remainder of the week. I enjoy all your articles – they are brilliant! Thank you for making my day, Valerie.